It is after 5:00 and I am still in my pajamas! Ahhhh, Christmas Break how do I love thee! I have spent the day reading one of my favorite books again (Hill Country by Janice Woods Windle), cleaning ( a bit), eating, making new activities, eating, enjoying my boys (fur babies), and eating. I will get dressed later so I can go to Chilly Fillmore's for dessert! My kiddos love the addition and subtraction sorts I have made. In 1st grade we are not supposed to have children memorize facts, but we (meaning myself and my buddy Carla) probably do enough games and other activities that they begin to memorize them and gain an understanding by the different math strategies we teach them too (10 makers, doubles, plus 1, minus 1, etc)﻿. We did many of the Color by Code that 1st Grade a la Carte had as part of her 12 Days of Christmas. My kiddos are addicted to color by code/number activities but some got tricked by the mixed addition and subtraction. So, I was inspired to trick them too! They love when I tell them I am going to try and trick their brains! I hope you can use this sort too! 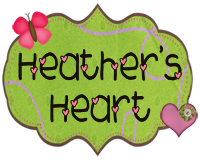 Heather, thank you for following me! 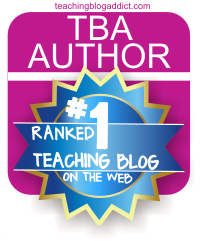 I recently found your blog through TBA and I'm loving it! Your poems melt my heart and remind me why I teach! Sometimes, amid the curriculum demands, the standards, and various other things we can't control, I forget. Thank you for the reminders :o) I look forward to more posts...and poems! I love the way that you spent the day! :-) Thank you for the freebie. Keep on relaxing. Thank you so much!! I have a bunny too, well, I'm fostering him , but he's been with me since May, so I'm assuming he's mine, lol. LOVE them! I love your freebie!! Thank you so much. I will be in my pjs starting on Friday..we go until Thursday, 12/22, but don't go back to January 9!! WOOHOOO! Merry Christmas and Happy Holidays! Love the penguins. Thank you! Thanks for sharing the Penguin freebie! So jealous that you are already on break. I go thru Thursday. You are now 1 person closer to 400 followers! I follow you!!! Merry Christmas! Aww I have a bunny too - his name is Babbity Rabbity and he is a love! 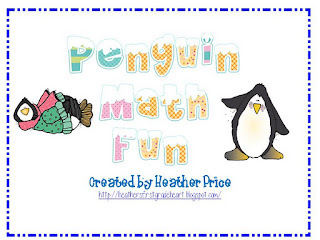 Thanks for the Penguin math - I do Penguins in January so this is great timing! I'm here!! Sorry I've been so MIA in the "posting" world. You are always sooo good to comment :) I love your freebies...most are a little above my kinders' heads, but I could prob use with a few of my higher kiddos during station time. I'll let you know how it turns out! Thanks for everything. Keep up the good work. Your blog looks great! I loved waking up late today too!!!! I spend the better part of my day in my pj's and ALL day with my fur baby! I swear I spoil him with so much attention during vacations that he has a hard time when I go back to work. Great freebie :) thanks for sharing! I'm jealous! I work through Thursday. Your cat and rabbit are so cute. Does the cat tolerate the bunny? Thanks for the freebie. My cat and bunny get along great. My cat even eats the bunny's carrots and cilantro! He is weird. In this picture, he is hanging out on TOP of the door. Thanks for a great blog! Thanks for sharing all of your great products! So cute! I will be adding these into my stations when we return! As for how to turn a portrait into a landscape, I have no idea! lol...the skip counting was made in the landscape setting. I *think* if you pull the file as a PDF and resize it down to like 66% then take a screen shot, you can get it into a portrait shape, I *think*. I make my stations in powerpoint, and from there, I have to click on "themes" then page set up and then I can make them either way. I have just pretty much decided it is easier to make them in landscape, and turn the items on the page to make them portrait! I am a newbie at this stuff, so I am learning as I go! Thanks for following me! Check back later today...I should have more penguins up! Thanks for the freebie! Looks like I'll be doing a lot of penguin activities for my early finishers! I'm also enjoying break with my fur baby! (A super cute, lovey-dovey yellow lab puppy, ok not puppy because she's 2 1/2, but she'll always be my puppy!) However, not as much time right now because I am rearranging my classroom and organizing a bunch of things! I have planning to do this since the beginning of school, but it feels so good to be putting my room together in the way I really want it! :) Merry Christmas! I hope you enjoy the rest of your break! ~Heidi V.
Thanks so much for sharing these. I am going to be doing a winter theme soon, and these will fit right it. Thanks so much. Love this cool math game! I love January simply because I love to use penguins in my room! I just became a follower of your cute blog! I am your newest follower! 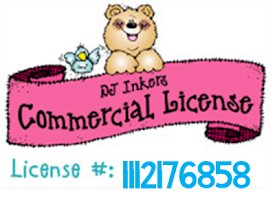 Love your blog--can't wait to read more! I love the activities you post for us. My students and I thank you. Enjoy your break. As promised... I am here and following you. I can't wait to see the 500 followers giveaway. I would LOVE for you to give me a shout out to you awesome followers sometime... I think you have a great thing going here. I hope my tech tip *see my comment back to you* will be a big help! Thanks Heather- just what I needed! Thank you for sharing the Penguin math sort! Thank you for sharing so many wonderful resources. I prepare future teachers and have been pinning some of your materials for them to see. 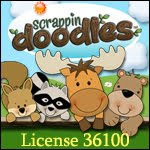 I am hoping they will see that they can still be creative and that kids can have fun while teaching to the standards. Thank you for the darling penguin math set. Way cute!